This is my favorite time of the year. I love the warm golds and reds of autumn. Beautiful! 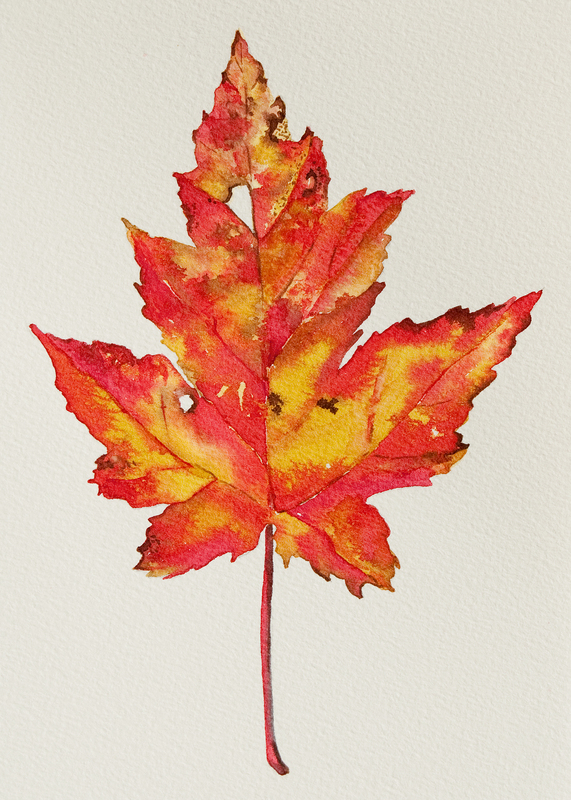 This Silver Maple leaf is the subject we will be painting for the Watercolor Crash Course! on Sunday, November 20th, at Auburn University. Beginners and advanced beginners, all supplies furnished. $55./$65 Tuition. Take advantage of the early bird special and register now. www.auburn.edu/cconline.